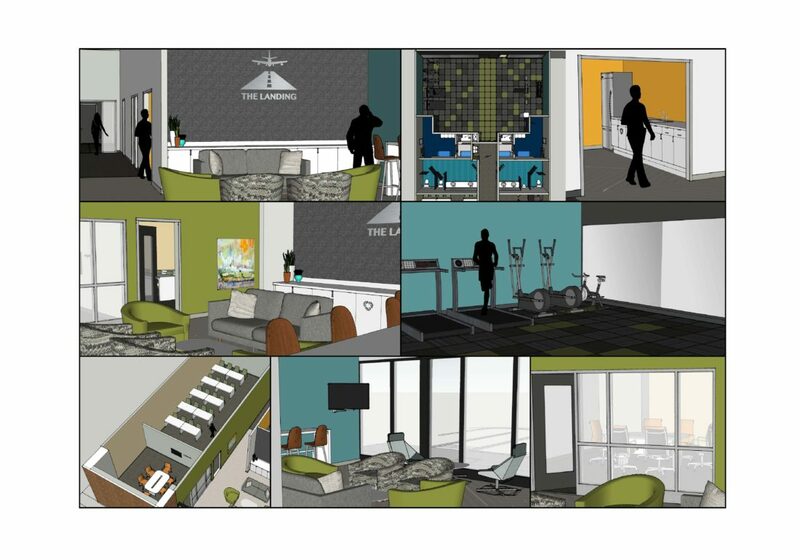 iS design was approached by Somerset Properties to design an Amenities Center for use by the tenants at East Ridge @ Perimeter Park. 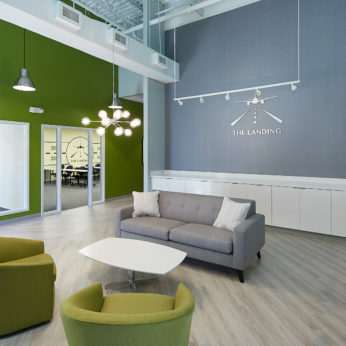 The proximity of the park to the nearby RDU International Airport inspired the cleverly named space, The Landing, and aviation references serve as some of the accents throughout the space. 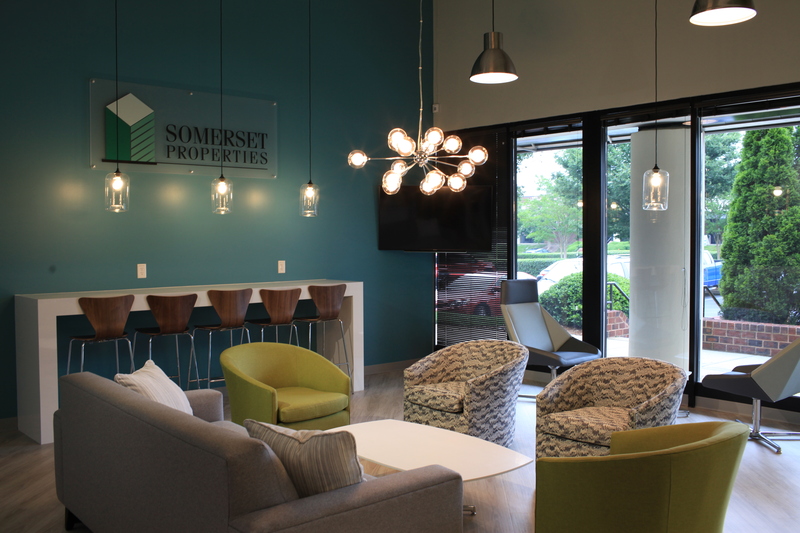 The name also represents what the owners wanted the spaces to offer their tenants. 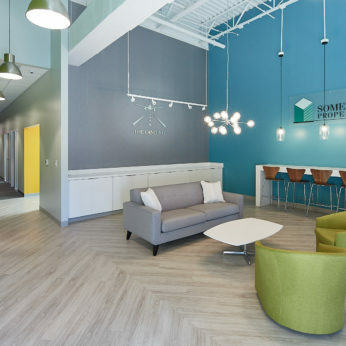 The management office for the office park is also conveniently located within the facility. 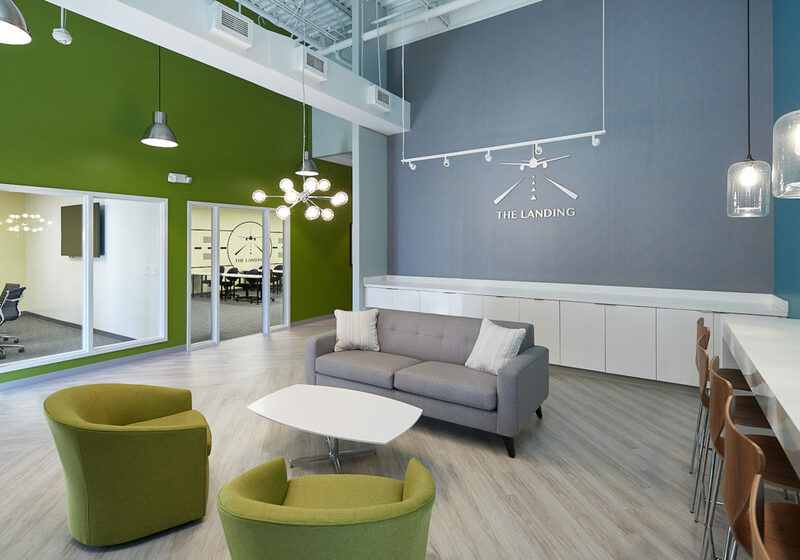 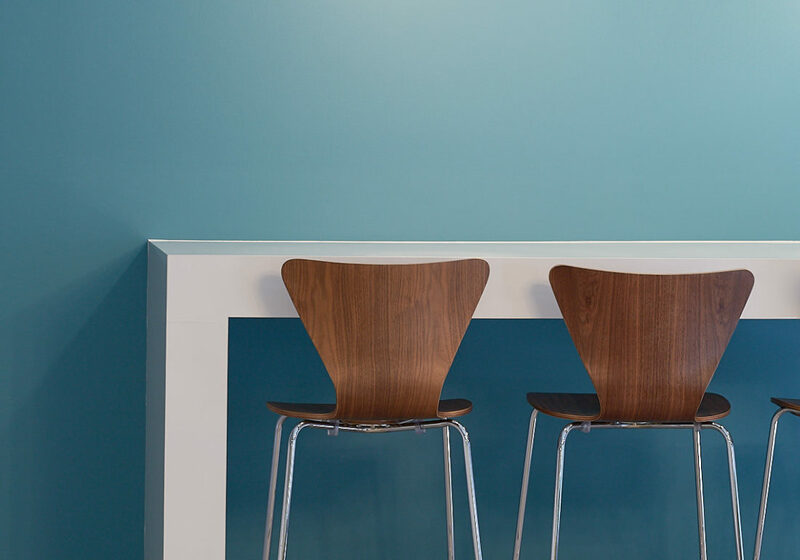 They sought the help of the designers to take one of the vacant office suites to create a modern and comfortable common place for tenants’ use. 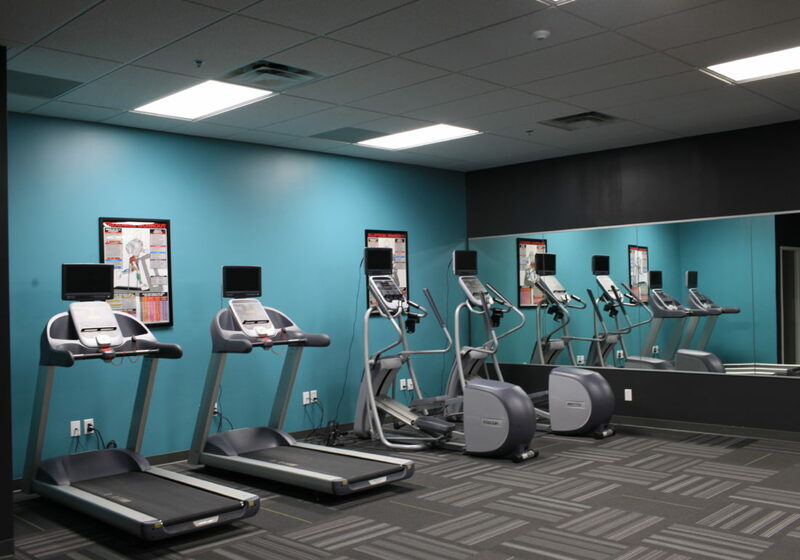 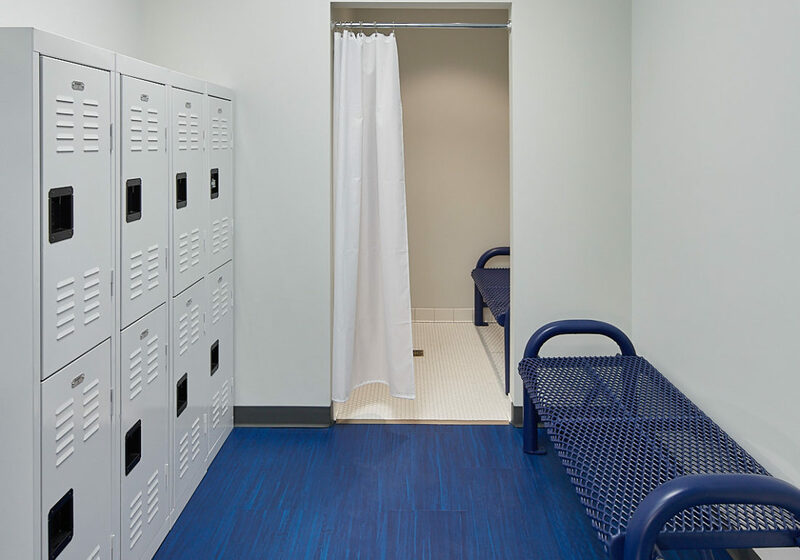 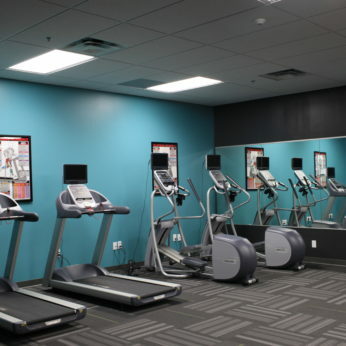 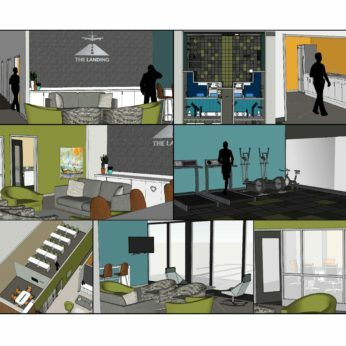 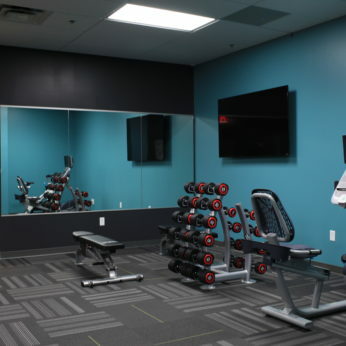 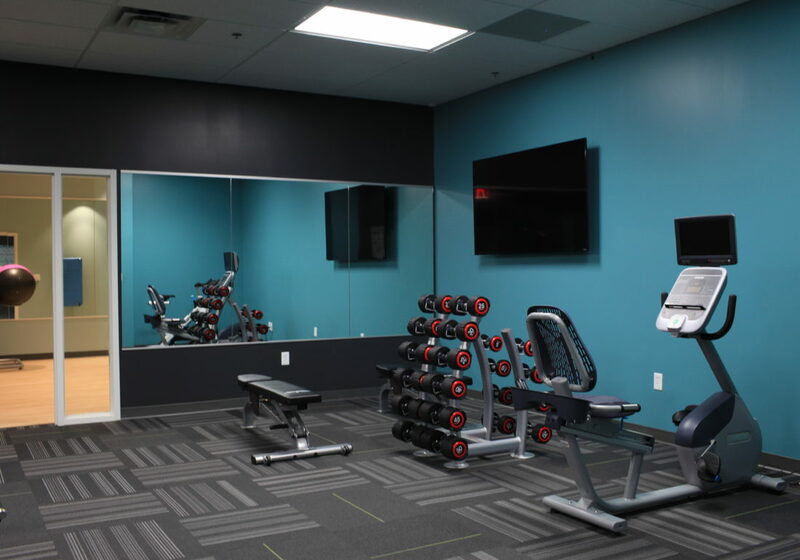 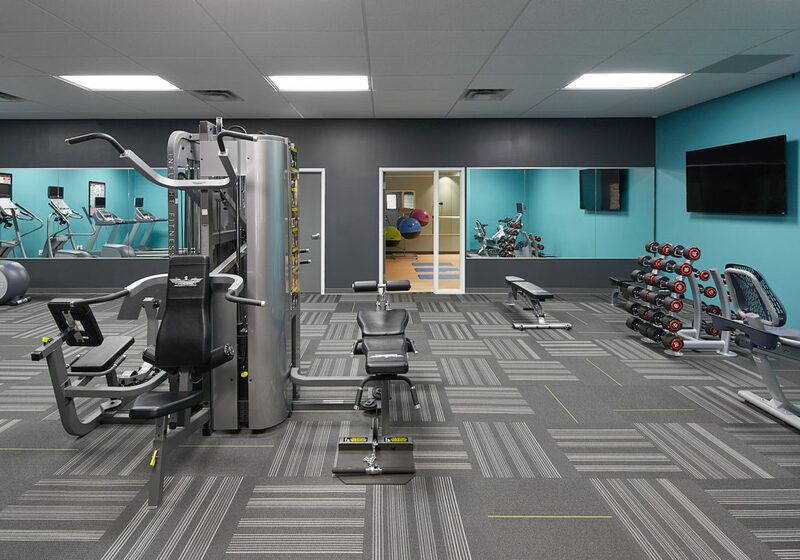 Activity spaces include: a lounge, a fitness center with separate yoga studio, locker rooms, as well as common conference and training rooms. 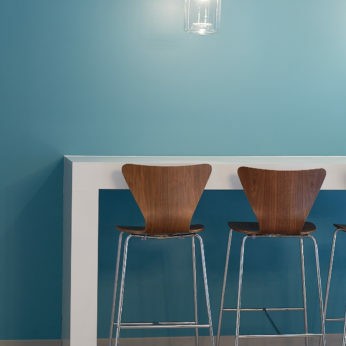 The resulting space is a bright and welcoming space that showcases modern furnishings, bursts of color, glass, and areas of high or open ceiling. 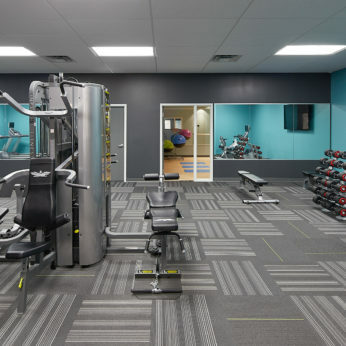 The suite provides the tenants many ways in which to utilize the space as their needs arise and also offers an inviting and convenient location within the park for employees to keep fit and take a break from their daily routine.